It’s a bad week for film lovers as Canon follows Leica with the news of the discontinuation of an important 35mm camera from its line-up. 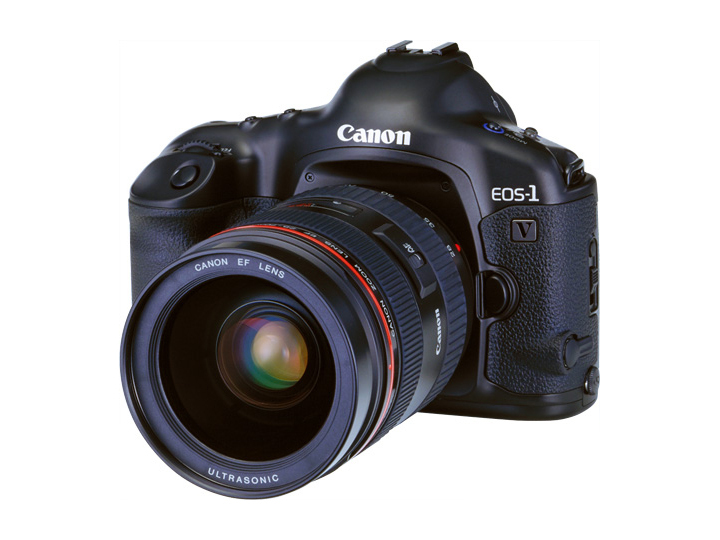 Earlier Leica reported the end of the M7, and now Canon has announced it has ceased production of its flagship film body, the EOS-1v. The fact that most of us didn’t even know it was still in production anyway hardly softens the blow, as the launch of this model in 2000 was truly one of Canon’s greatest moments. The hard-as-nails professional body can shoot at 10 fps with the PB-E2 power pack attached, and can even manage 9 fps in AF servo. It has a 45-point AF array, a shortest flash sync of 1/250 sec, a top shutter speed of 1/8000sec and is claimed to be good for over 150,000 actuations. It can store the shooting data from 100 rolls of 36 exposure film to be read-out using Canon’s EOS Link ES-E1 software and matched to the roll using an ID number imprinted on the film leader by the standard camera back. Best of all, its 0.72x 100% viewfinder presents a huge, clear and bright view of the world even by today’s best standards. When it was launched in 2000 the camera was priced at 270,000 yen ($2480 at current rates), and used models still fetch around $600 through online auction sites. Canon says repairs will be carried out until October 31 2025, though after its statutory repair period in 2020 expires the company can’t guarantee it will have the necessary parts. If this sad news is too much for you, reading the Google Translate version of Canon Japan’s statement might cheer you up. You can also read more about this fantastic camera in Canon's fabulous Camera Museum. Under a CarePAK plan, a damaged product will be repaired to good working condition or replaced with the same or an equivalent product, a feature that is unique to Canon and currently not available from other providers. 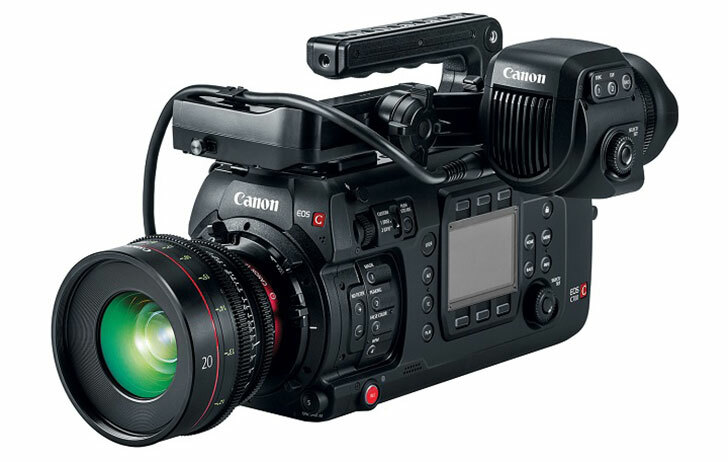 CarePAK PRO and CarePAK PLUS will be available for Canon Cinema Cameras, Cinema Lenses, Professional Camcorders, and Professional Inkjet Printers beginning June 1 and can be purchased at the time of product purchase, or for up to 90 days thereafter. The first update of the plugin suite that DxO acquired in late 2017, the Nik Collection 2018 by DxO offers full compatibility with the latest Mac and PC OSs and Adobe CC products, while DxO PhotoLab 1.2 enhances its local correction tools that incorporate exclusive U Point technology. 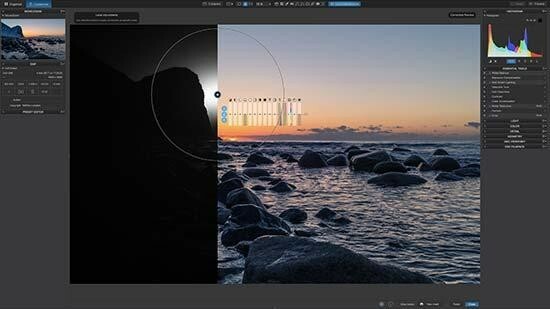 PARIS – June 6, 2018 – DxO, one of the world’s most innovative consumer imaging companies, today announced the immediate availability of the Nik Collection 2018 by DxO, an updated suite of Adobe Lightroom and Photoshop plugins for photographers and creative professionals. Eagerly awaited by the user community, this “by DxO” update marks the return to the market of the Nik Collection with the first stable version and with customer support. Also available today, DxO PhotoLab 1.2, an update of DxO’s acclaimed RAW and JPEG image processing software, adds new local correction features and adds support for seven additional cameras. The Nik Collection 2018 by DxO is now fully functional and compatible with all 64-bit Windows and Mac platforms, as well as with Adobe Lightroom Classic CC, Photoshop CC 2018, and Photoshop Elements 2017/2018. In addition, DxO now provides support in four languages on its website (http://nikcollection.dxo.com/), which will soon include exclusive tutorials. The software suite update, including the seven plugins, is now available in 13 languages, and includes a free 30-day trial period. Analog Efex Pro applies analog film, camera and lens simulations to digital photos. Color Efex Pro includes a set of filters for color correction, touch-up, and creative effects. Dfine reduces the noise of digital images by analyzing the specificities of each device. HDR Efex Pro processes images in HDR. Sharpener Pro increases the accuracy and enhances the detail of digital images. Silver Efex Pro is a black and white image conversion solution inspired by darkroom techniques. Viveza locally adjusts the color and tone of specific areas of the image. Thanks to exclusive U Point technology, the Nik Collection plugins allow you to apply local settings to specific areas in a fluid and precise way. The Nik Collection 2018 by DxO is available for download on the DxO website (http://shop.dxo.com/us/photo-software/dxo-nikcollection) for $49.99 / £39.99 / €49.99 instead of $69 / £59 / €69 until July 1st, 2018. DxO has integrated Nik Software’s U Point technology, acquired from Google in late 2017, into DxO PhotoLab. This exclusive technology allows photographers to apply local settings in a non-destructive RAW stream to specific areas in an image. With version 1.2 of DxO PhotoLab, DxO continues to enhance its software by adding the Hue (HSL) and Selective Tone settings, to unblock locally dark areas or recover overexposed areas. The tool’s equalizer system has been redesigned accordingly, and local settings are now grouped by categories: Light, Color, and Detail. Each category can be shown or hidden with a single click, for an efficient workflow. In response to user requests, DxO has added a new keyboard shortcut that displays the U Point mask in grayscale and shows the area that will be affected by the correction. Finally, DxO PhotoLab 1.2 adds support for images from the Sony A7 III; the Panasonic Lumix DMC-G9, TZ90, and GF9; the Canon EOS 2000D; and the Apple iPhone 8 Plus and iPhone X. Thanks to the quality of DxO PhotoLab’s RAW conversion, which is based on prior calibration of each sensor in the laboratory, images taken with these cameras and smartphones will automatically be corrected for optical defects. The ESSENTIAL and ELITE editions of DxO PhotoLab (PC and Mac) are available for download on the DxO website (http://shop.dxo.com/), and from retailers at $129 / £99 / €129 and $199 / £159 / €199, respectively (recommended retail prices). Photographers who own a version of DxO OpticsPro can acquire an upgrade to DxO PhotoLab by logging into their customer account at www.dxo.com. A fully-functional trial version of DxO PhotoLab, valid for one month, is available on the DxO website: https://www.dxo.com/us/photography/download. Space: The final frontier for making rookie photography mistakes. You get ready for a big day of shooting with your camera and you find out at the last minute that you’ve forgotten a critical piece of gear and it sets you back or even ruins the outing. Well, don’t feel so bad – the same thing just happened to astronaut Drew Feustel when he took his GoPro for a spacewalk only to discover he had forgotten his SD Card. Feustel, a flight engineer aboard the International Space Station, discovered he had forgotten the card when went to take some shots of outer space only to find he couldn’t in an embarrassing lapse caught on camera while the astronaut was communicating with Houston back on Earth. Of course, the GoPro camera Feustel is using is clad in protective casing to keep it safe from the harsh environment of space but, as Digital Rev points out, without an SD Card it really is just a glorified viewfinder. Feustel was going to take some epic pictures while he was out on a routine maintenance mission for the space station. We're sure that's a highly technical affair so his mind might have focused itself on other things, needless to say. Cameras and space travel have had a long history together, with the relationship between Nikon and NASA going all the way back to 1971. We reported last year on a huge order of Nikon D5 DSLRs going to space, 53 to be exact. These cameras were delivered to NASA without modifications by Nikon but will likely undergo extensive reworking by NASA to tailor the devices to the agency’s needs. If you would like to watch the moment Drew Feustel discovers he has left his SD Card back inside the International Space Station, you can do so by clicking here to view it here on YouTube. The post Feel The Frustration! Astronaut Discovers He’s Forgotten the Camera’s SD Card While on Spacewalk appeared first on Light Stalking. TIME magazine’s latest issue is a special report on the rapid explosion of drones in our culture. For the cover photo, TIME recreated its iconic logo and red border using 958 illuminated drones hovering in the sky. It’s the first-ever TIME cover captured with a camera drone. To create the photo, TIME partnered with Intel’s Drone Light Show team (which creates beautiful sky displays using hundreds of drones at a time) and Astraeus Aerial Cinema Systems to fly and capture (respectively) the 958 drones above Folsom, California (where Intel has a campus). The display was actually filmed with a cinema camera on the Astraeus-flown drone, and the cover photo was a still frame extracted from the footage. The cover can be found on the June 11, 2018, issue of TIME, which will hit stands on June 1st. Now that Yongnuo is more established as a third-party lens maker, the company is slowly distancing itself from the lens designs it copied from Canon lenses early on. In addition to replacing its original 50mm f/1.8 “Nifty Fifty” clone, Yongnuo is now also updating its 50mm f/1.4 clone with a new YN50mm f/1.4. The Canon 50mm f/1.4 (left), the original Yongnuo 50mm f/1.4 (center), and the new Yongnuo 50mm f/1.4 (right). As with Yongnuo’s other new lenses, the new 50mm f/1.4 II features a USB port that lets you update the lens’ firmware without any additional dock. 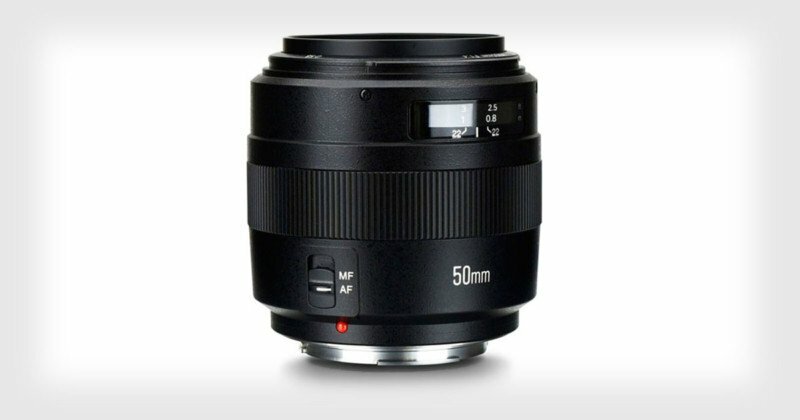 Other features of the YN 50mm f/1.4 II include an electromagnetic aperture (supports M/Av/Tv/P/B shooting modes), glass optics, multilayer coatings for increasing light transmittance while controlling ghosting and glare, gold-plated contacts, a durable metal mount, and a focus distance indicator. The new Yongnuo 50mm f/1.4 II can be found through places like Amazon for $199 when it’s in stock for Canon EF mount cameras. No word yet on what other mounts it will be available for. There are three fundamental settings in landscape photography: the ISO, Aperture and Shutter Speed (known as the Exposure Triangle). While all of these are equally important to understand in order to create technically correct images, there’s one that’s extra important when it comes to an image’s visual impact. Adjusting the shutter speed makes a big difference and is often what can make your image stand out from the crowd. Choosing the ideal shutter speed is not an easy process though. There rarely is a single correct shutter speed but there certainly are scenarios that benefit from a specific one. In this article, we’ll look at a few different scenes and how the shutter speed affects each of them. The easiest shutter speed to work with is a fast one. Working with fast shutter speeds doesn’t require a tripod and you can easily photograph subjects that quickly pass by. This is also the most common choice for most beginning photographers as it doesn’t require much effort (and most auto functions choose a relatively fast shutter speed). Below you have a typical example of when you need to use a fast shutter speed. In order to freeze the motion of the deer, I had to increase the shutter speed to 1/320th of a second. Had the deer been moving at a higher tempo I would have to increase the shutter speed even more to avoid any motion blur. Photographing animals is not the only time where you should use a fast shutter speed though. In the image below, I used a shutter speed of 1/1600th. Why did I use such a quick shutter speed for that scene? By the looks of it, the water is quite still, there are no moving subjects and there’s still enough light to use a slightly slower shutter speed, right? Yes, however, this shot was taken from a boat and even though the waters were relatively still, I needed a very quick shutter speed in order to freeze the scene without any blur from camera movement. Had I been standing on land, I could have easily used a slower shutter speed and achieved a similar look. In fact, the overall quality could have been even better as I could have used a lower ISO and an ideal aperture. However, the purpose of photography isn’t to always have the perfect settings; it’s having the ideal settings that allows you to get the shot within the given conditions. The most important is to actually capture the image. For too long I was too focused on always having the perfect settings. The truth is that this often leads to missing the shot as you focus too much on the technical aspect rather than working with the conditions you’re given. For example, using a slower shutter speed when standing on a boat (such as in the image above) would have led to the icebergs being blurry due to the motion. What would you prefer? A blurry picture which is “technically” perfect, or a sharp picture that doesn’t have the technically perfect settings? When aiming to freeze motion. When photographing from a vehicle. In landscape photography, the difference between slow shutter speeds is much bigger than between fast shutter speeds. While you won’t see a huge difference between 1/320th of a second and 1/640th of a second (in most cases) you may see a big difference between 10 seconds and 60 seconds. Because of this, I’ll split this section in two parts: less than 30 seconds, and more than 30 seconds (Bulb Mode). The definition of a long exposure is somewhat vague but in my Ultimate Guide to Long Exposure Photography eBook, I describe is at the shutter speed where you no longer can capture a sharp handheld image. Typically, this is in the range of 1/50th of a second, depending on your camera and focal length (a longer focal length requires a quicker shutter speed to capture a sharp handheld image than a wide-angle). While the difference between a 1 second and 30-second shutter speed is big, it’s more natural to put these together in one section to keep this easier to follow. Still, I’ll try to break it up a little to give you an idea of which shutter speeds you should experiment with in different situations. Again, there’s no correct choice and it often comes down to your preference and the tools you’ve got to work with. When photographing beaches and seascapes where waves are crashing onto the shore or forming around rocks, I often work with a shutter speed of 0.5-1 second. I find that this creates a nice blur in the water while still keeping enough texture. A slower shutter speed such as 8 seconds blurs the water but not enough to give it the “silky” effect you often see with long exposure photography (we’ll come back to that in a bit). This also applies when photographing waterfalls and rivers. I tend to use a semi-slow shutter speed rather than an ultra-slow shutter speed when working with these scenes, as I prefer to keep some textures in the water. As you lengthen the shutter speed you’ll see that moving elements become more and more blurry. In the image below, I used a shutter speed of 20 seconds to blur the water and give some motion to the sky. If you look at the clouds, you can see that they have been moving and it’s starting to have the “dragged sky” effect. Keep in mind that the speed of the clouds determine how slow the shutter speed needs to be in order to pick up this motion. When clouds are moving quickly you can pick up their motion even with a shutter speed of 5-10 seconds, but to really get the “dragged sky” effect you often need to use a shutter speed (or exposure time) longer than 30 seconds. In order to achieve a shutter speed longer than 30 seconds you most likely need to activate Bulb Mode. When I first got into long exposure photography and purchased my first 10-Stop ND filters, I immediately got hooked on these ultra-slow shutter speeds. I’ll admit that I don’t do as much of it anymore (as it rarely fits with the vision I have for most locations) but it’s certainly a lot of fun to play with. The main reason to use a shutter speed longer than 30 seconds for landscape photography is to achieve the “dragged sky” effect and to completely blur out moving elements such as water. It can also be a good way to remove people from your images (if they walk around during your 2-3 minute exposure they most likely “disappear”). For the image above I used a shutter speed of 180 seconds. As you can see, this has completely blurred the water and the sky is dragged across the frame. Working with longer exposures can be a lot of fun but it’s not something that’s always beneficial. For example, when photographing a scene that doesn’t have any moving elements (and no clouds), there’s no need to use an ultra slow shutter speed, as it will most likely look exactly the same with a slower one. So knowing how to select the best or most appropriate shutter speed takes practice, and comes down to what you want to achieve in your image. The post Working with Different Shutter Speeds for Landscape Photography appeared first on Digital Photography School. The original Capture Clip was a darling of Kickstarter, raising nearly $15 million back in 2011. V2 debuted in 2013 and was replaced by V3 at the beginning of 2018. 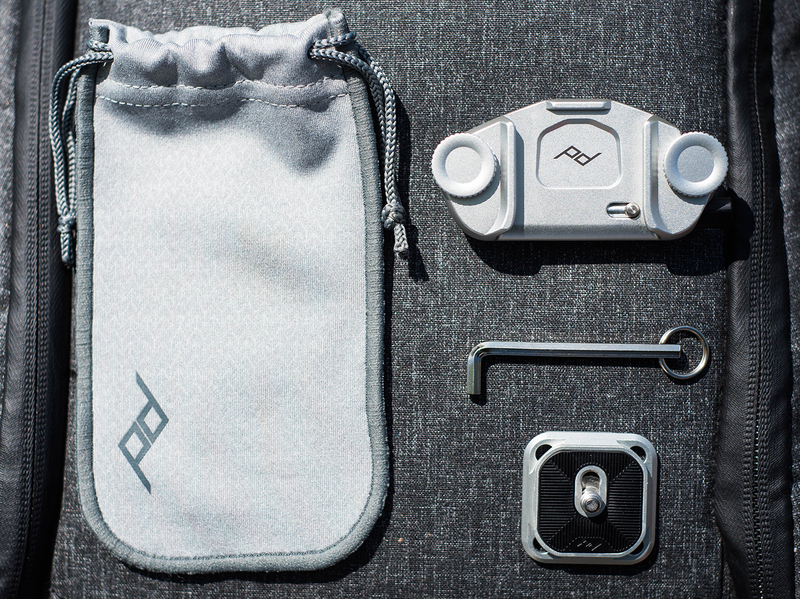 First released on Kickstarter in 2011, the Peak Design Capture Clip aimed to give photographers an easier way to carry their camera. Seven years later, we now have the Capture version V3, a much sleeker and more streamlined iteration of the original product. $69.95 gets you the Capture Clip, an Arca-compatible plate, x2 hand-drive screws, x2 4mm hex screws (not shown), a hex wrench and a microfiber pouch for storage. V3 boasts a 'smaller, lighter and lower profile' than V2 – more specifically it's 57 g / 2 oz lighter (clip plus plate), 2.1 cm narrower, 1.2 cm shorter and 0.8 cm thinner. From a design perspective this means an accessory that looks less like a chunky piece of gear and more like an integrated piece of design affixed to your bag or strap. It is still made of all aluminum (minus some rubber bits for gripping your bag strap) and still has a smooth anodized finish like its predecessor. It is also now available in two colors; Silver and Black. With V3, Peak Design has simplified the Capture lineup to just one product – V2 offered both the Capture Standard and CapturePro at different price points. The former had a glass-reinforced nylon back and was cheaper than the all-aluminum Pro. 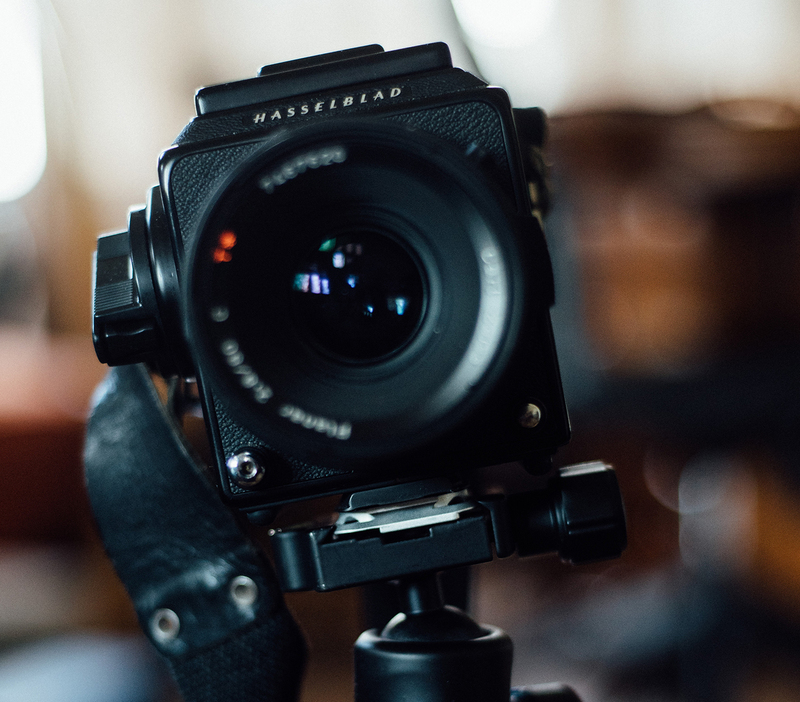 Like the V2, you can still integrate a variety of add-ons to your Capture system such as the Manfrotto RC2 compatible Dual Plate or the Peak Design Lens Kit. 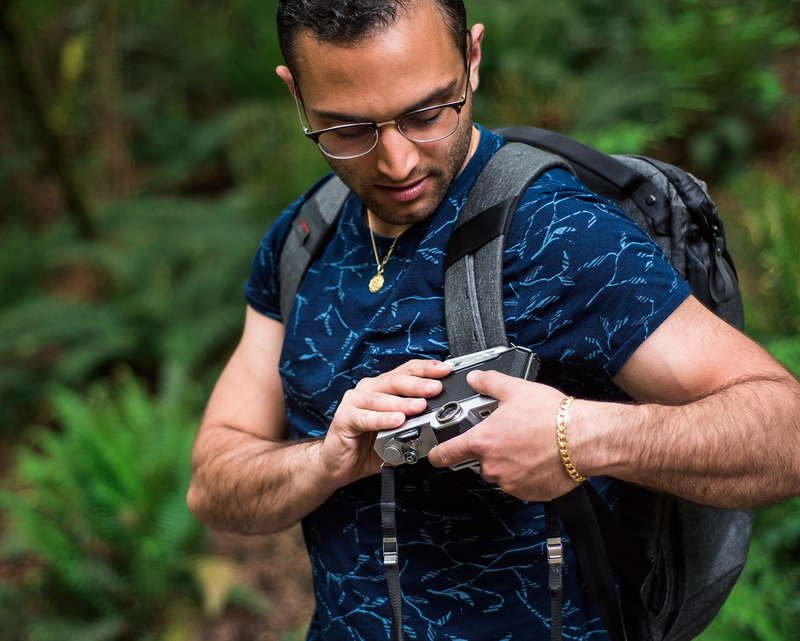 This means you can use the Capture Clip for its base purpose but still have the option to expand its functionality well beyond just carrying a camera on your bag. What's also nice is V3 ships with two different sets of clamping bolts, hand-driven ones and a set that are driven in using a hex key (included). The Capture Clip, in action. 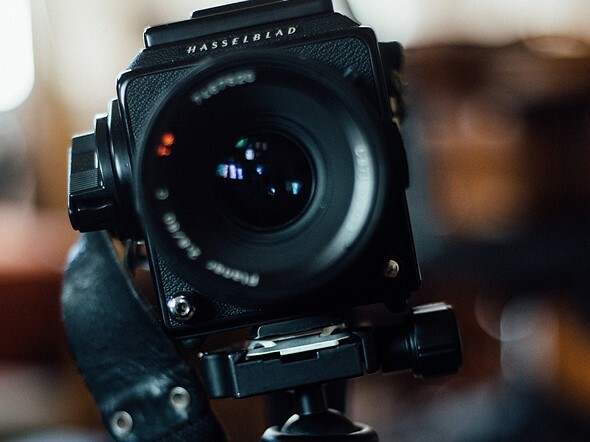 The Capture system is extremely well designed and works exactly how you would expect it to: With the plate attached to your camera, simply slide it into the clip from above. When you want to retrieve your camera, press and hold the small button on the right side while sliding your camera back upward. The first time I attached the system to my bag, I honestly didn’t expect to love it but quickly found myself enjoying the convenience it provides. In fact, all of the following gripes I have are admittedly nit-picky stuff because frankly the Capture Clip works well. Attaching the clip portion to your bag for the first time can be a bit of a hassle but the key is just to loosen it more than you think you need to. Most folks will attach it to a backpack but it can easily be attached to a messenger bag, belt or something else entirely. Once attached to something it's not hard to remove and replace. I tried it on both my Peak Design Everyday Backpack and my nearly decade old Camelbak backpack and it fit securely on both. Even with a heavy camera attached, the Capture feels very secure. The only time I worried while using it was when pulling my backpack off my shoulders. I sometimes instinctively like to toss my bag around - not a good idea when your precious gear is connected to the front. While writing this review, I used the Capture with 4 different cameras: a Nikon D750 w/ 50mm 1.8 (1 kg / 2.19 lb), Nikkormat FTN w/ 50mm 1.4 (1.1 kg / 2.43 lb), Bronica RF645 w/ 65mm f/4 (1.1 kg / 2.44 lb) and Hasselblad 501C w/ 80mm f/2.8 (1.47 kg / 3.25 lb). All of these felt confidently secure. 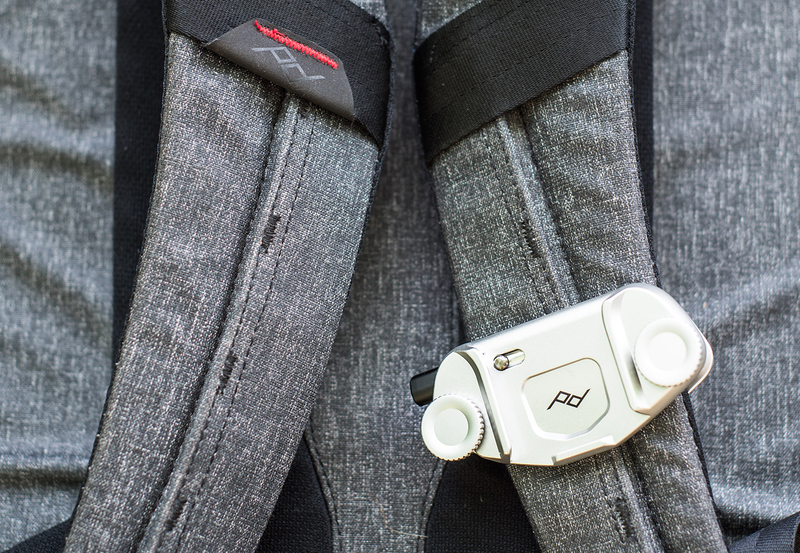 Peak Design says the Capture is rated for up to 90 kg / 200 lb so safety-wise almost anything you would put on there is a non-issue. For me personally, the Hasselblad was a bit too heavy to be comfortable. But it wasn't just the weight; I also didn’t feel comfortable with the way large cameras or those with long lenses tend to pull down, potentially jabbing into your body. The Capture system not only makes it simple to carry your camera, but it means you always have a plate attached for tripod mounting. My biggest hangup with the Capture is just getting used to having your camera on your chest (that’s where I wore it at least), but it only took me about an hour of walking around in a park to get used to it. And by later that same day – while on a different shoot – I found I was using it instinctively. Overall for the price point of $69.95 the Capture Clip V3 isn’t cheap, but it’s worth the money if you’re looking for a new approach to the way you carry your camera. And if you’re looking to add another clip to your arsenal or upgrade from a previous version, you have the option of buying just the Clip alone for the lower price of $49.95. Peak Design continues to bring a photographers-first approach to their design with a very strong sense for what works and what doesn’t. In this writer's opinion, the new Capture Clip falls squarely in the "works" column. The post Are You Traveling To Germany? Here Is A Photographer’s Guide To Cologne appeared first on Light Stalking.